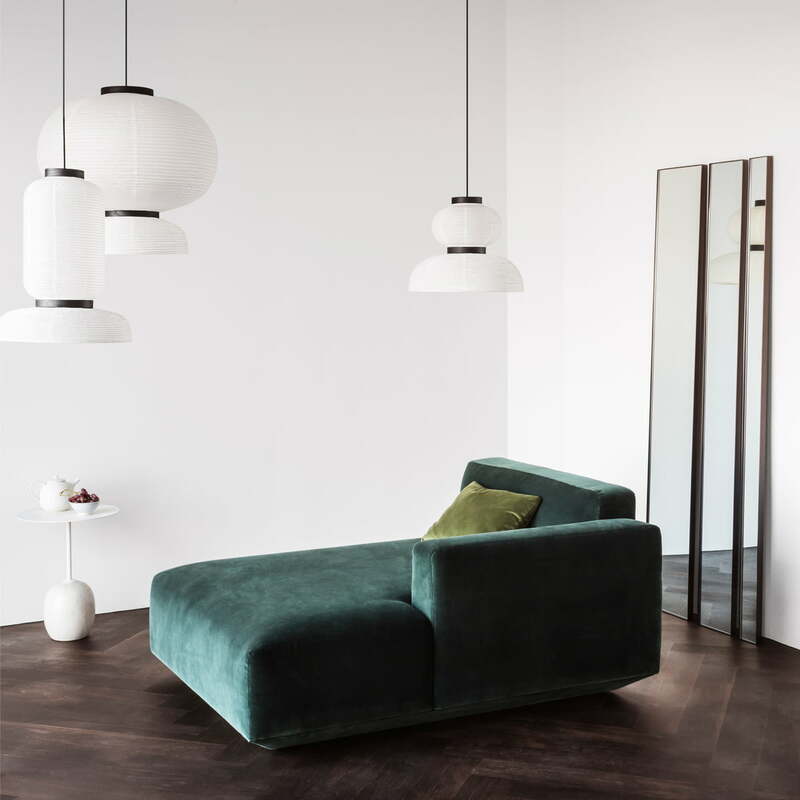 The Develius sofa series by &Tradition was conceived by the Dutch designer Edward van Vliet and is made up of enormous cushions as well as a chaise longue. Vliet wanted to create a series that made it possible for people to create their own lounge area, customised according to their needs and wants by using various components. The Develius sofa series celebrates luxury lounging. As a corner sofa, the modular Develius designed by Edward van Vliet is particularly flexible and perfect for small, modern city apartments as well as to seat the whole family in larger living rooms. The Develius sofa series by &Tradition consists of various modules with and without armrests that differ in size and shape, from rectangular to square. The base gives the impression that it is floating above the ground, resulting in a lightweight appearance. All modules consist of a wooden frame and padding made from a mix of HR foam and polyester. Covers are available in different variants and colours, so that the sofa can be made even more personal. Uniform as well as contrasting modules can be combined to create your very own piece of paradise. Metal brackets connect the modules in a stable and reliable way. Stools and matching pillows complete the series. 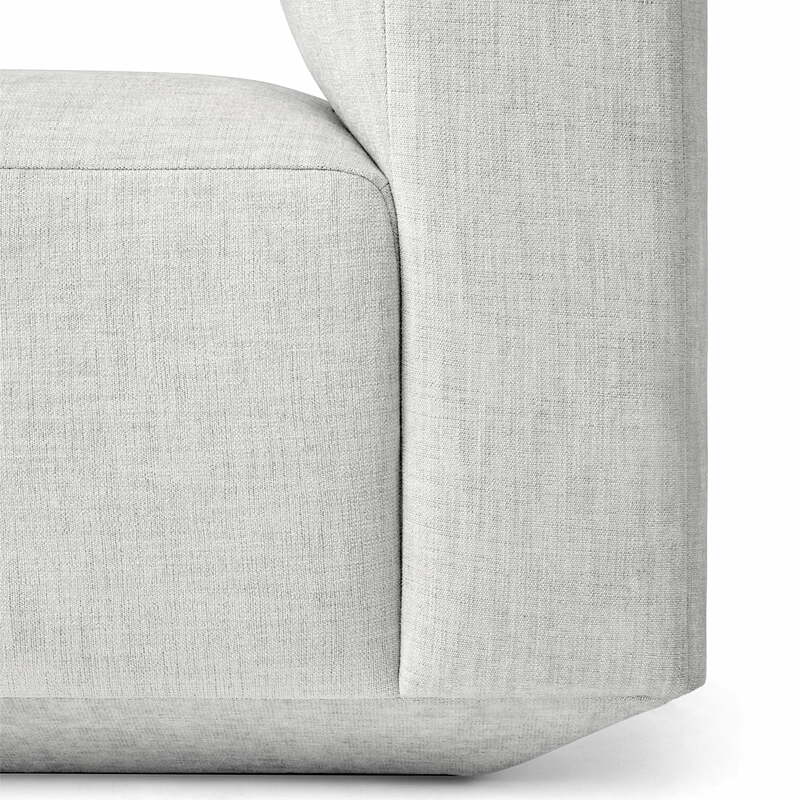 On demand, the armchair is also available in various other colours and fabrics. 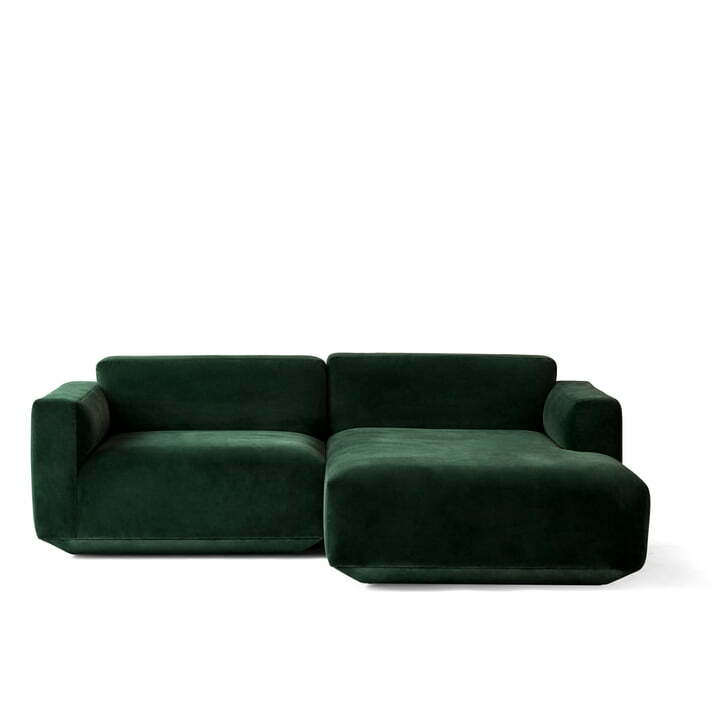 The Develius corner sofa in the configuration B by Edward van Vliet for &Tradition consists of two modules and is upholstered with Kvadrat upholstery in Velvet 1 (forest). 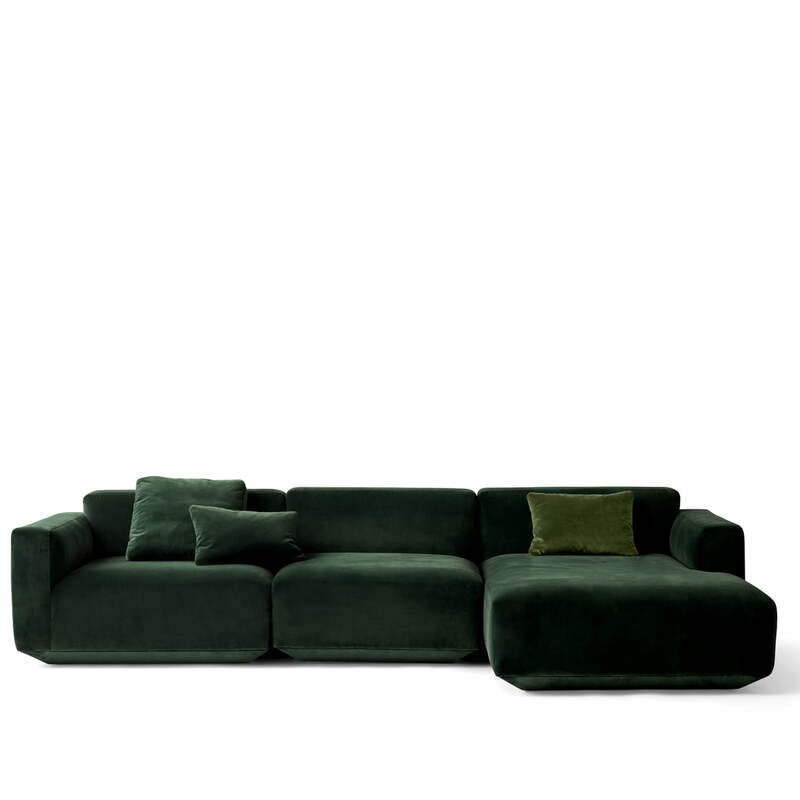 The Develius sofa series by &Tradition was conceived by the Dutch designer Edward van Vliet and is made up of enormous cushions as well as a chaise longue. As a corner sofa, the modular Develius designed by Edward van Vliet is particularly flexible and perfect for small, modern city apartments as well as for large living rooms for the whole family. 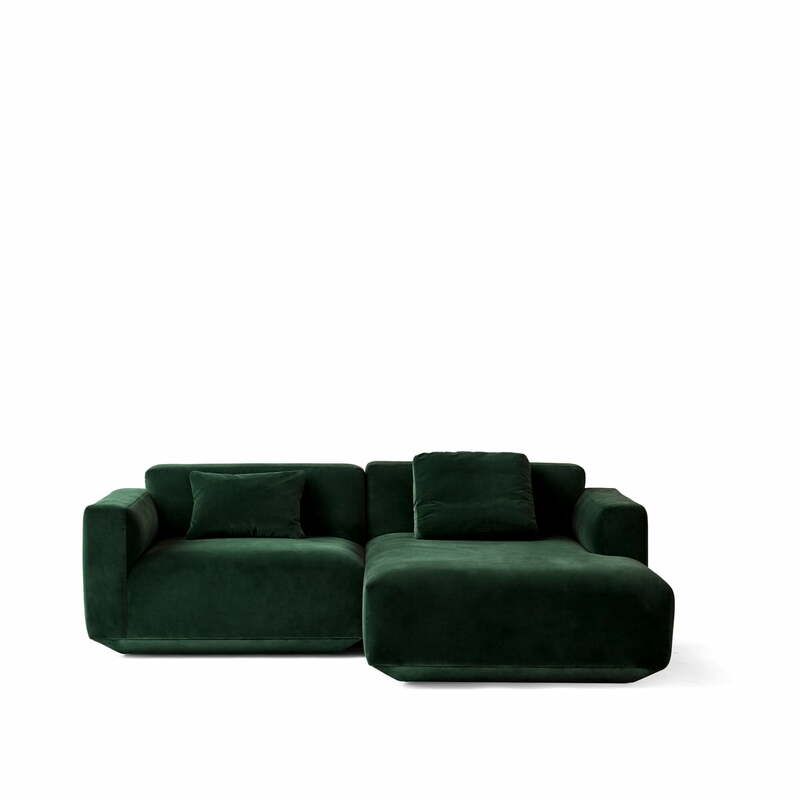 Develius Corner Sofa, Configuration F by &Tradition in Velvet 1 (Forest) with pillows. Metal brackets connect the modules in a stable and reliable way. Develius is the epitome of luxury. 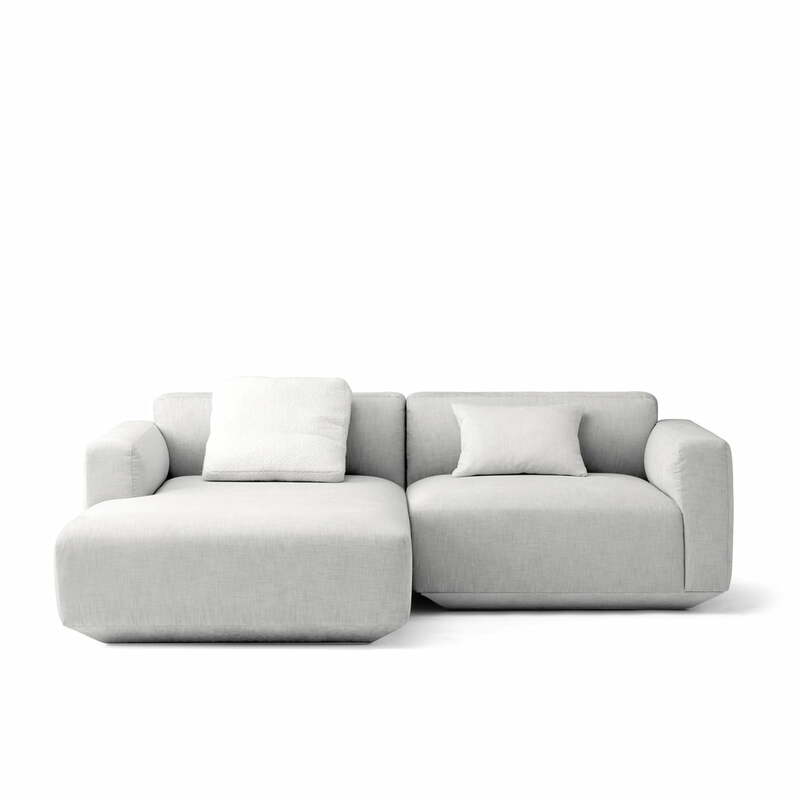 The Develius modular sofa system was designed by Edward van Vliet for &Tradition and consists of a composition of huge cushions in various shapes. The Develius sofa series by &Tradition consists of various modules with and without armrests that differ in size and shape, from rectangular to square. The base gives the impression that it is floating above the ground, resulting in a lightweight appearance. 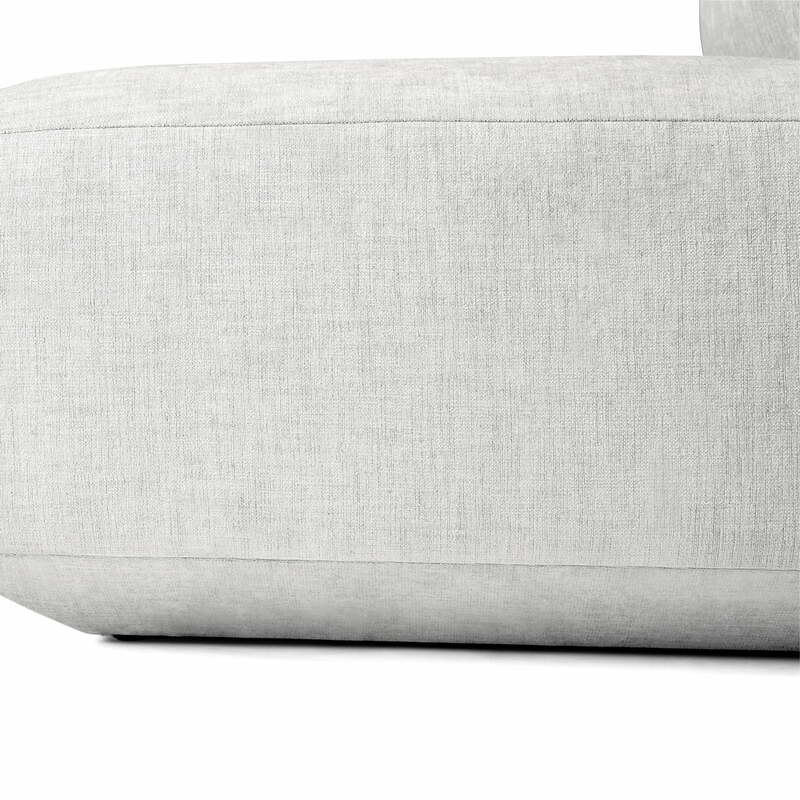 Detail product image of the Develius sofa module by &Tradition. All modules consist of a wooden frame and padding made from a mix of HR foam and polyester. 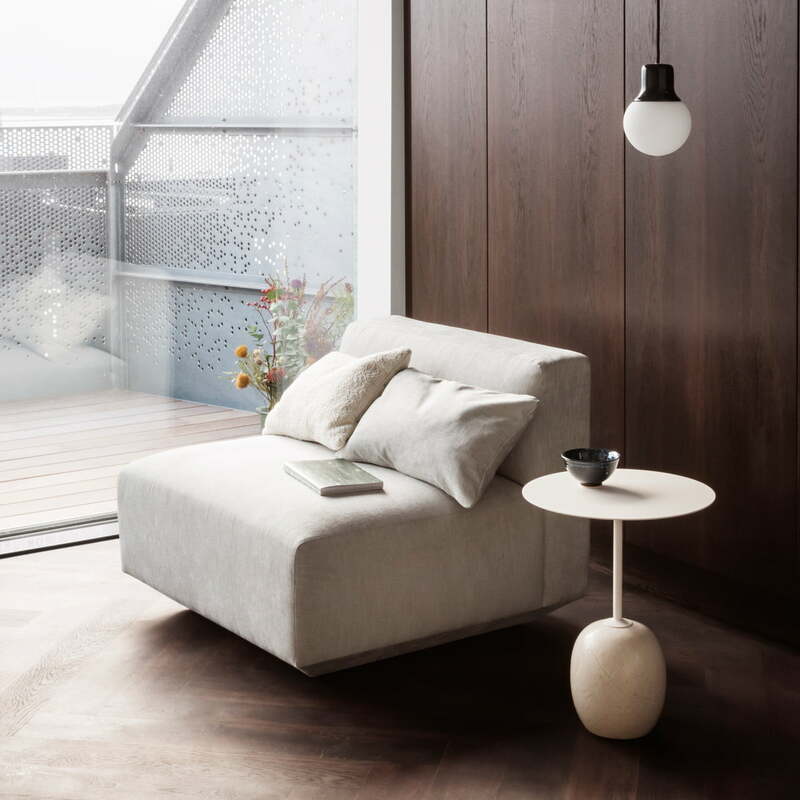 The Lato side table, the Develius sofa module and the Mass Light NA5 pendant lamp by &Tradition can be set up together to create a small and modern seating area that is inviting and cosy. The Lato side tables made of steel in Ivory White and from Crema Diva look great in front of the the Develius corner sofa upholstered in Kvadrat Maple 112 by &Tradition.